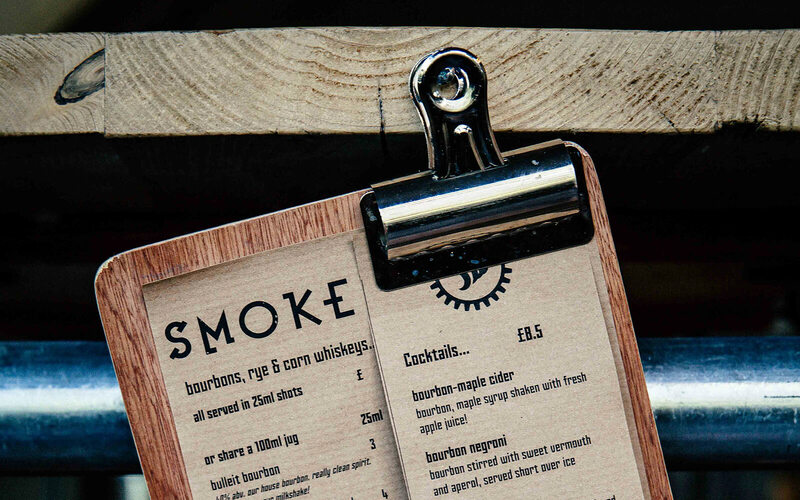 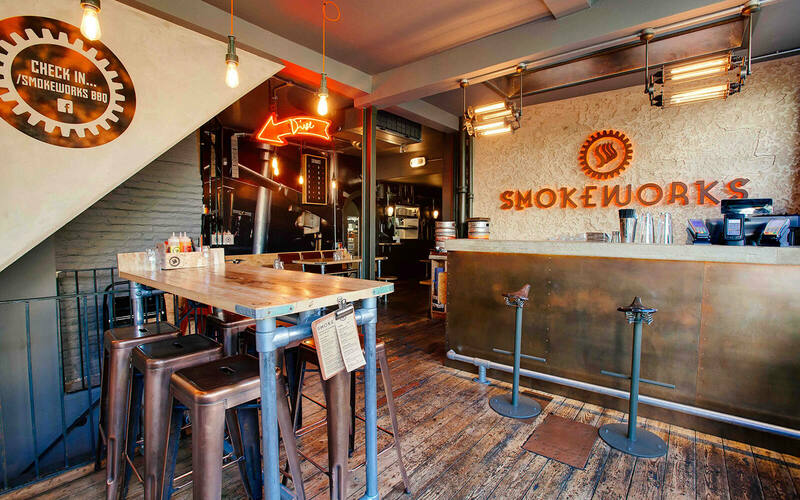 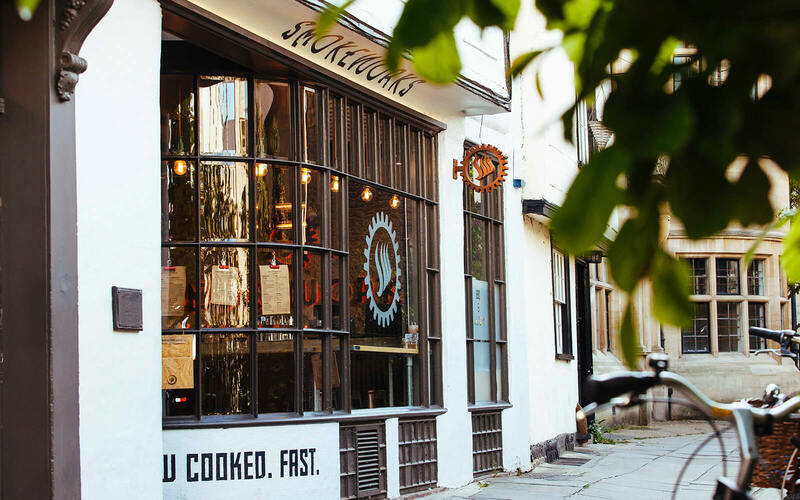 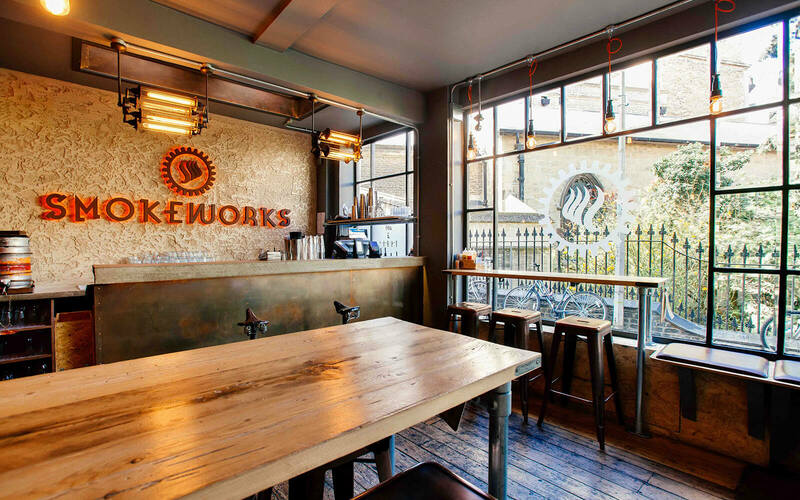 SmokeWorks is an exciting addition to the Cambridge restaurant scene, offering BBQ & Bourbon in a vibrant, industrial atmosphere. 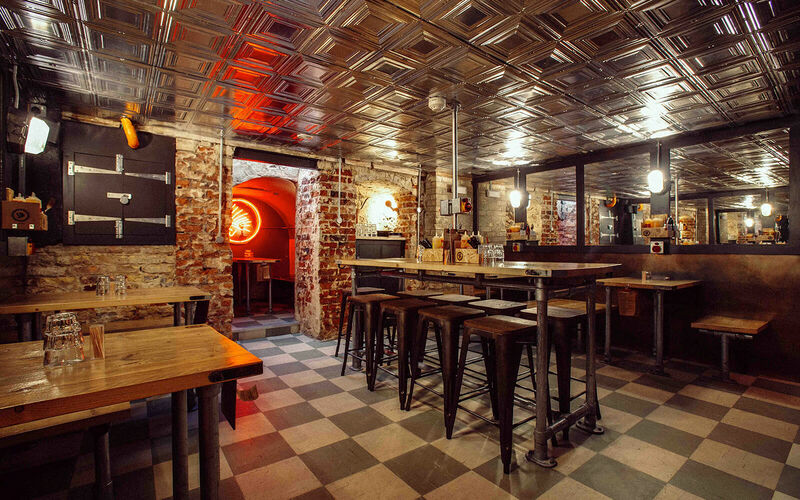 Loci designed and project managed the entire refurbishment of this historic restaurant in the centre of the city. 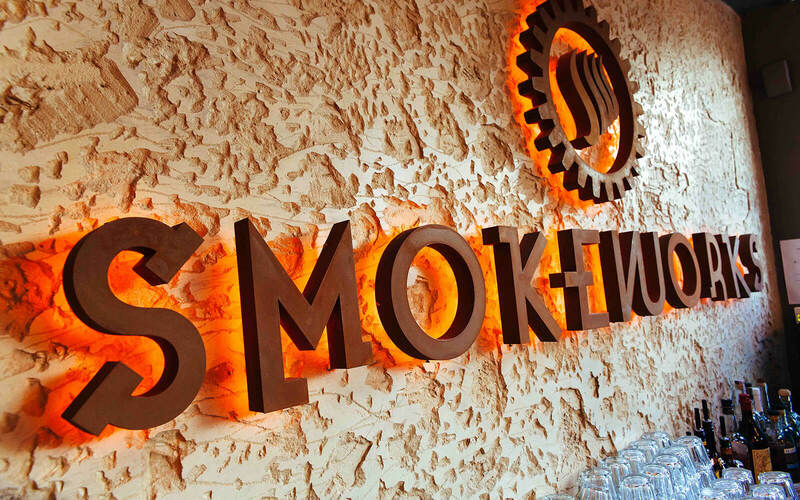 We enjoyed sourcing all of the individual pieces that combine to create the restaurant’s overall style. 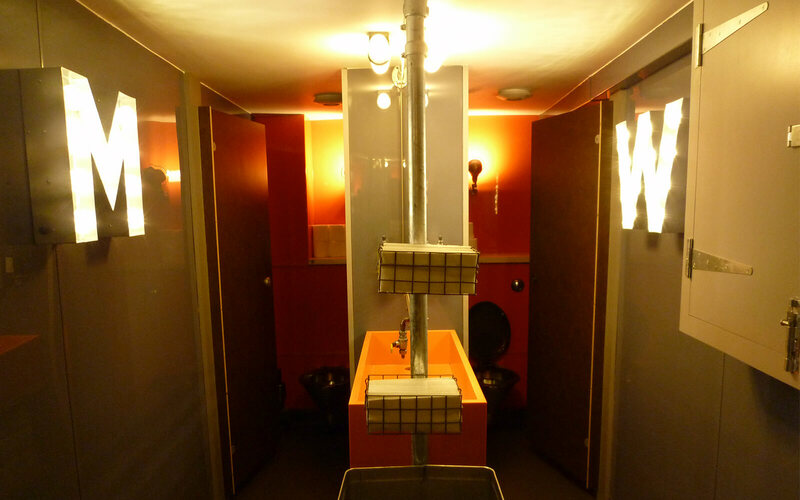 We installed light fittings previously used in a Concorde testing bay and neon signs from New York. 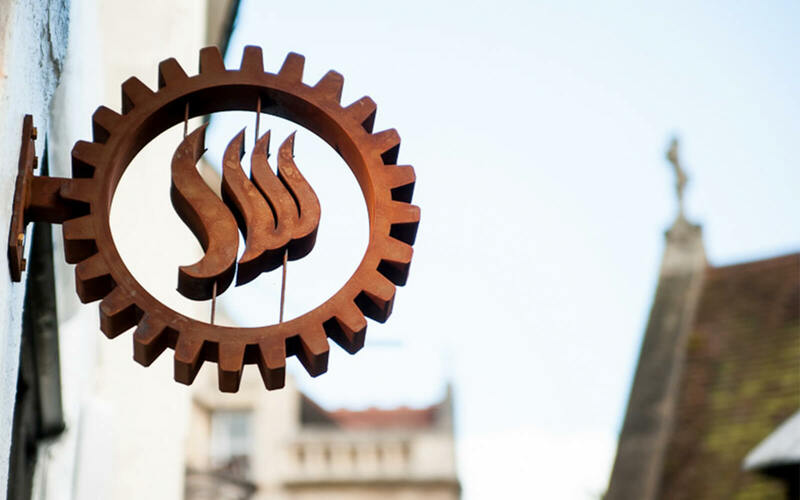 The bespoke furniture was also designed by Loci, using recycled materials and custom made branding iron.